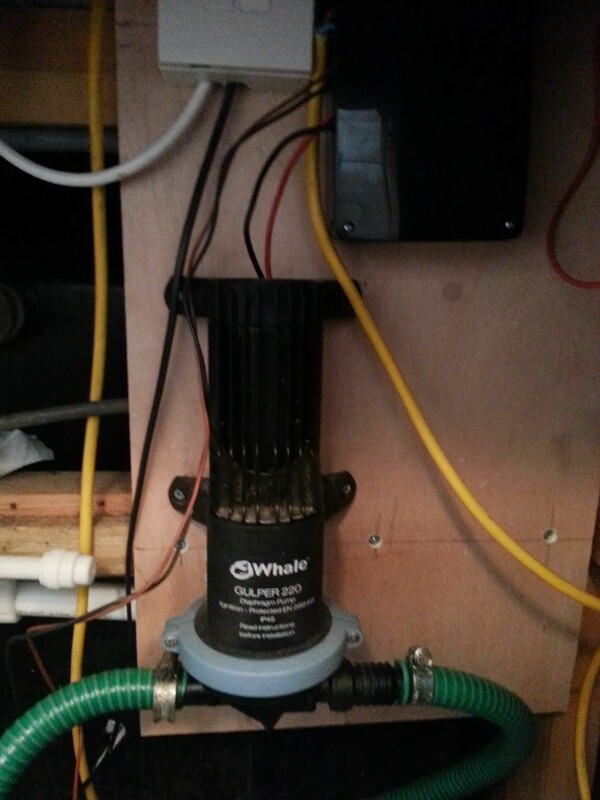 We’ve installed a new control system for the grey water tank. A field effect sensor in the tank triggers a relay that switches on the pump and discharges water out into the dock. This entry was posted in Systems and tagged grey water. Bookmark the permalink.